Are you relocating to Forest City, IA? Welcome! You will find many things you are looking for on this website. However, we understand that relocations can be tedious so we are here to assist you in making connections and finding local resources such as employment opportunities, daycare resources, neighborhoods, realtors, schools, clubs, organizations, business resources, churches, shopping, parks and local attractions. Call us! 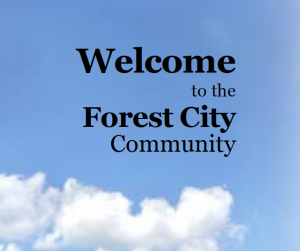 Learn more about Forest City and how to meet community members by contacting the Chamber of Commerce at 641-585-2092. We will help you ease in to our Community quickly and easily.